Rich color, abundant sparkle and striking contrast combine to make this style stand out. 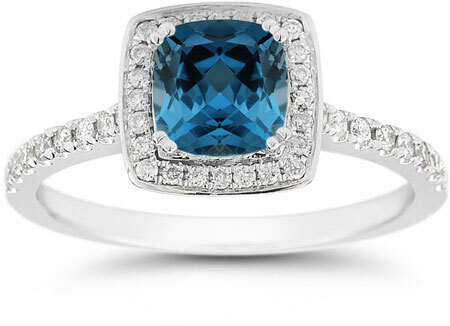 This 14K white gold Cushion-Cut London Blue Topaz Halo Ring is a richly-colored and sophisticated pick, perfectly pairing a deep blue gem with the glitter of dozens of diamonds in elegant fashion. 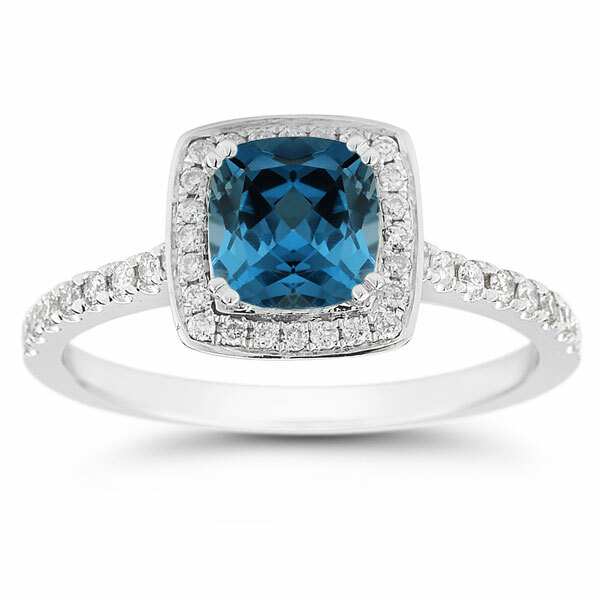 A cushion-cut London blue topaz stars in this eye-catching halo ring. This 6mm square-shaped gemstone with slightly rounded sides has a deep indigo hue that instantly communicates sophistication. As the darkest variety of blue topaz, this gem has a saturated hue that's a little lighter than that of a sapphire, and that's never gray or steely.